Macon E. Gooch, III Building Consultants was established in 1992 to provide engineering design and inspection services to the residential and commercial construction industry throughout the metropolitan Atlanta area. During its inception; the firm has spearheaded this new service industry by providing competent, timely and cost effective design and inspection services to all types of builders. 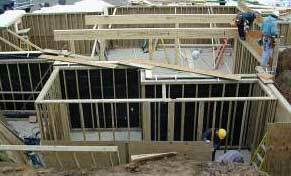 During our 10 years, we have performed well over 250,000 inspections including not only foundations and framing systems, but all mechanical and building finals , as well. Mr. Gooch's wide range of experience has qualified him as the first and only engineer to be approved by Fulton County to perform all residential inspections and he is a member of the Fulton County Overview Committee. The firm has been able to diversify its scope of services to include complete framing plans, structural design, follow-up on home inspection reports, remodeling design and specification, FHA foundation inspections, Elevation Certificates and Expert Witness Testimony. Our reputation has been built on providing rapid response, as well as, professional and courteous services to all of our clients whether they are a first time builder, a major production builder or a custom homebuilder. We are well recognized for specifying cost-effective solutions to difficult design and repair problems. Our fee structure is designed to save our customers money and our level of service is designed to save our customers time. Our staff is dedicated to fast, friendly service and the overall business is oriented to expediting the construction process and improving our customer's profit margin.